It is easy for people to say that they want to lose weight and generally easy for people to try by cutting something out of their diet of cutting down on portion size. However, many people who diet find it difficult to get very far without a sturdy weight loss plan and also find that it is much easier to put the weight back on when the diet is over than losing the pounds in the first place. 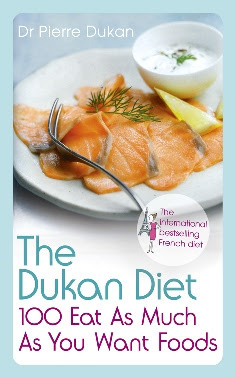 The way Dukan work is that from the outset you have a clear view as to what your goal is, how you are going to reach this by following the four Dukan diet phases and how long it will take you to reach your ideal or True weight (whichever is the more realistic goal calculated for you). This information is all received as you sign up before you pay anything. This means if you don’t think it’s the right diet for your, there are no obligations. 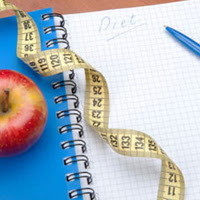 If you do decide to continue and begin to lose weight with this diet, the basics of the diet are as follows. The four phases are quite self-explanatory (Attack, Cruise, Consolidation and Stabilisation) which see you move from a brisk push on exercise and eating habits from a stable weight loss to maintaining that weight immediately after the diet and in the future. At each stage, there are hundreds of recommended recipes to try involving foods from their list of 100 ‘safe’ foods. This list is heavily protein based with limited carbohydrates but a lot of vegetables to help you get all the nutrients and vitamins you need. This healthy diet plan is relatively new but already a great success with good reviews from many high-listing newspapers and magazines around the country. There are publications you can buy such as the original book by Pierre Dukan, recipe books and follow up books but of course these are not as personal as the online service created to help you, personally.